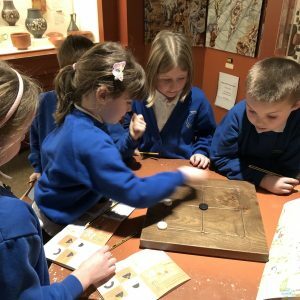 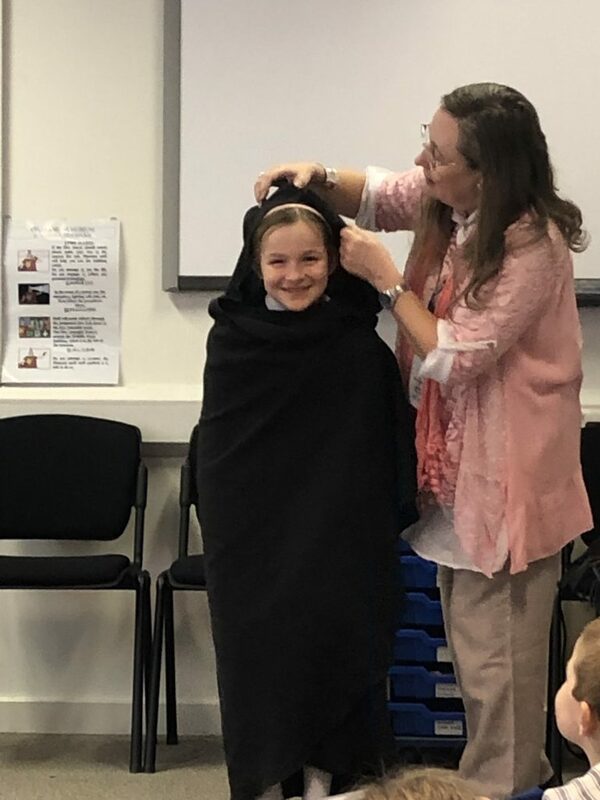 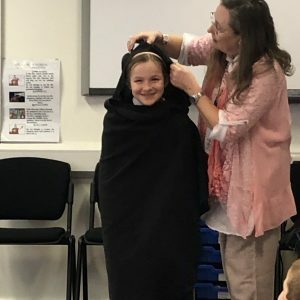 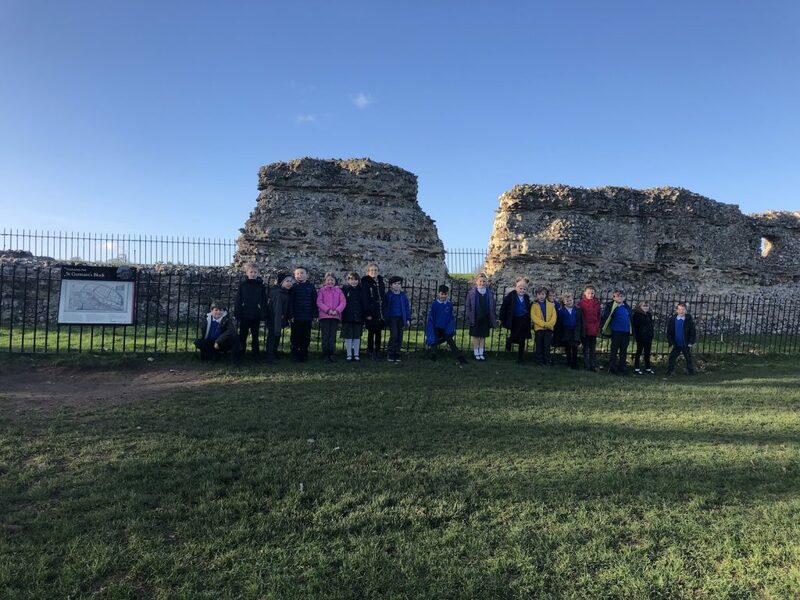 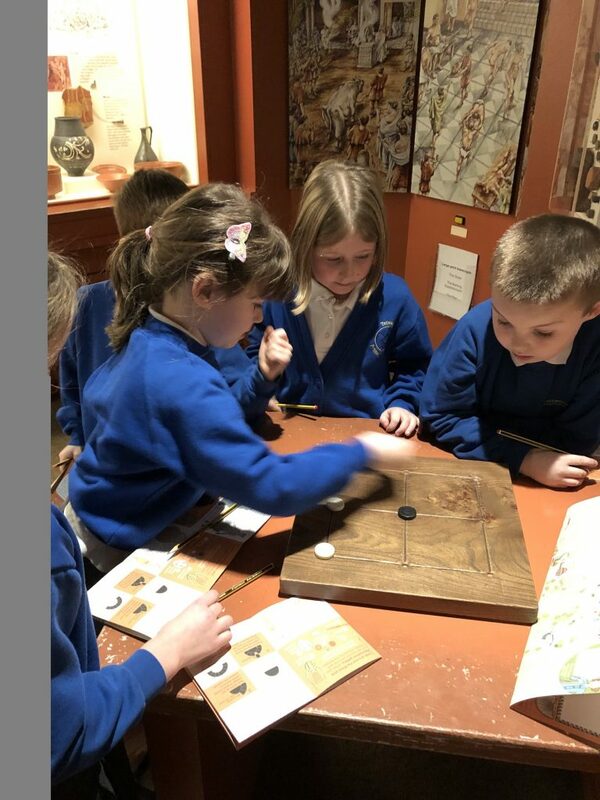 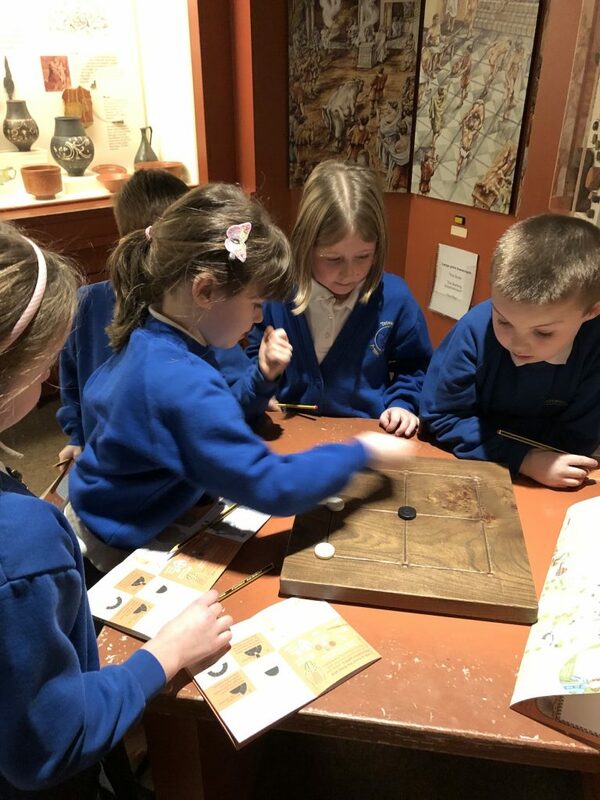 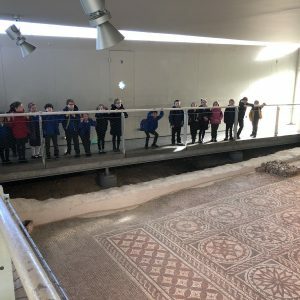 Class Two rounded off their Roman Topic with a trip to the Roman Museum at Verulamium (St. Albans) on Tuesday 8th January. 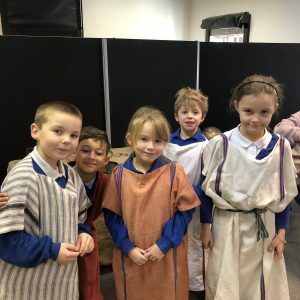 Whilst there they dressed up in tunics and walked around a mock Roman market. 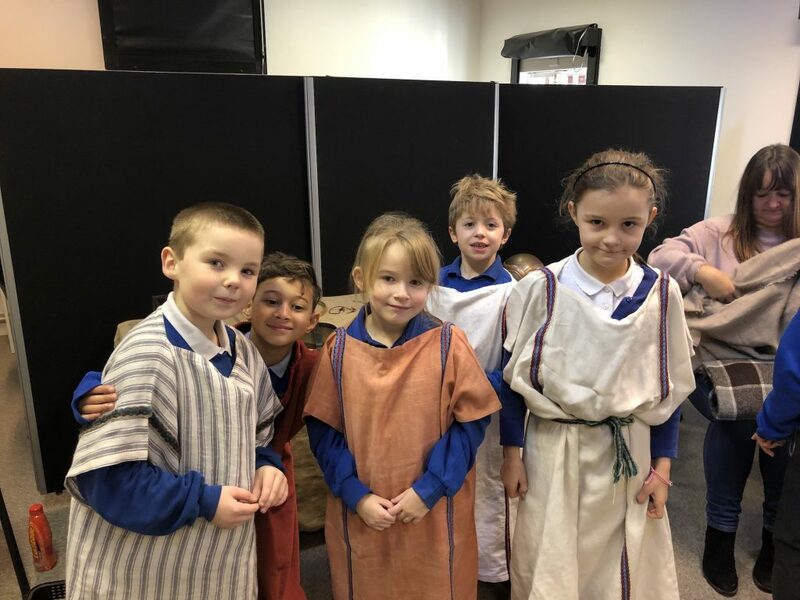 They also played Roman games, saw real Roman skeletons and watched clips about the Roman history of St. Albans. 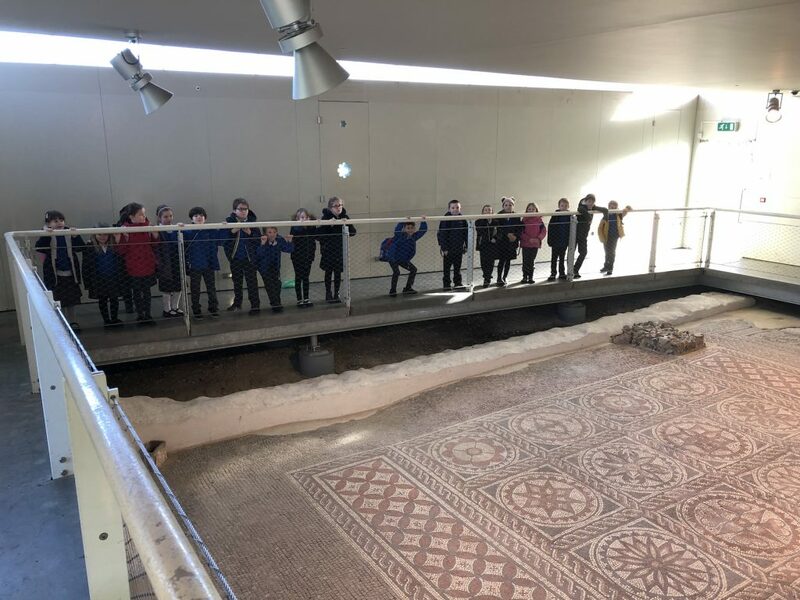 The children also walked to the ancient hypocaust that had been uncovered and to the last remains of the Roman wall that had been built called St. Germain’s Block.